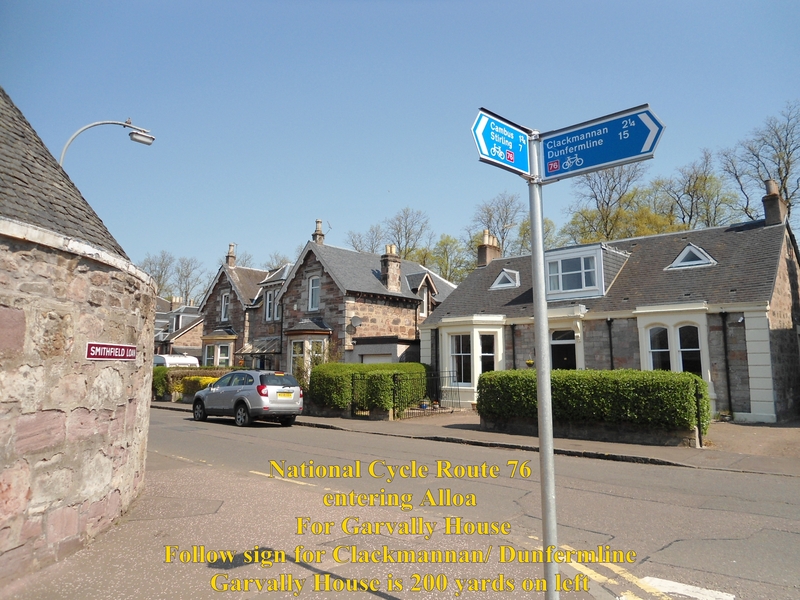 Garvally House Guest House offers super comfortable Bed and Breakfast Accommodation on National Cycle Route 76 as it passes through the small town of Alloa and we do mean directly on National Cycle Route 76 . 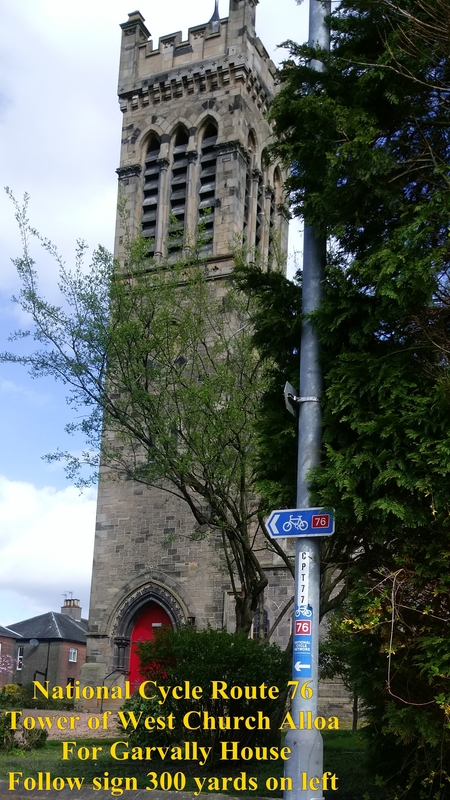 Secure Bike Storage under cover in a lockfast stone building. Cycle Repair Shop within 450 metres. 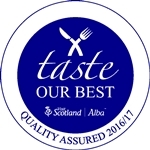 Selection of Restaurants and Pubs Serving food within 500 metres. Alloa Railway Station within 500 metres. 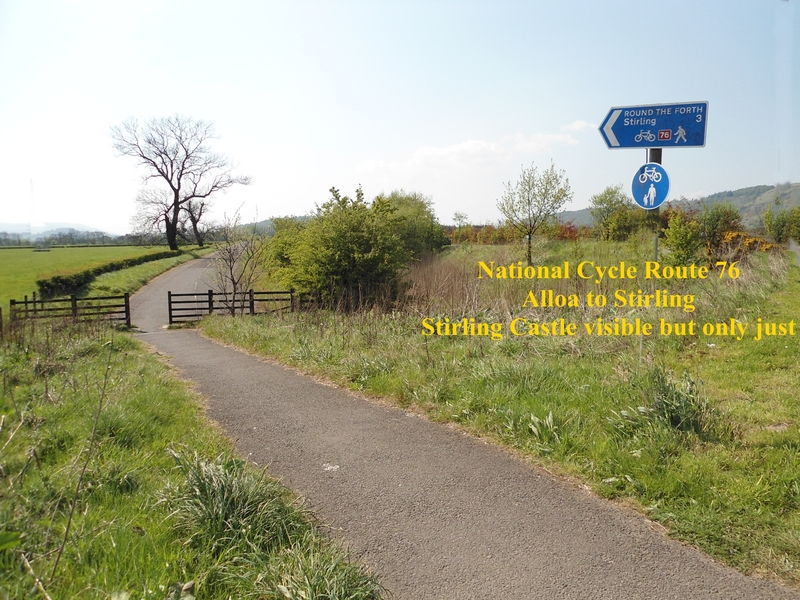 See Free bike places on Scotrail. USB charging points at all bedsides. Early Breakfast option from 7:30 a.m. Packed Lunches and hot flasks on request. Bathrooms En-Suite with Luxurious Underfloor Heating. 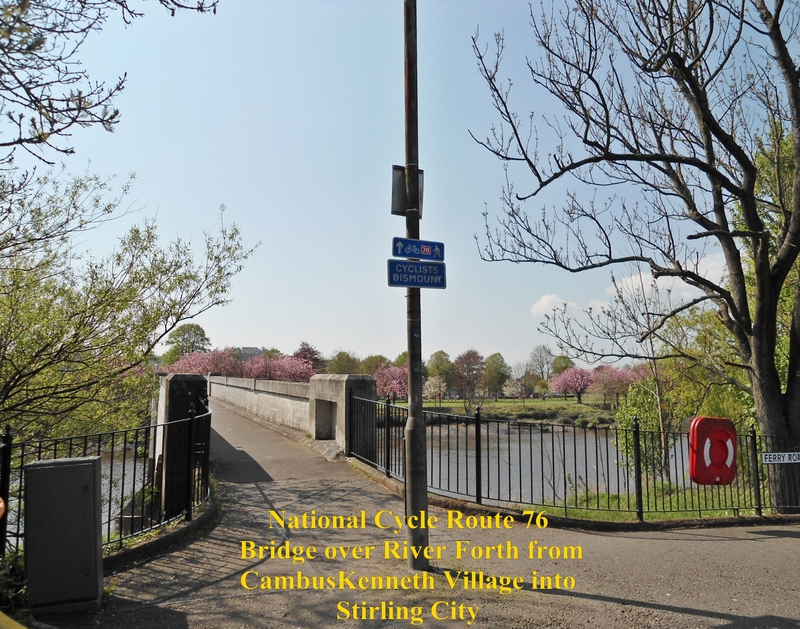 All Photographs on this page were taken in May 2016 and are intended to give a flavour of National Cycle Route 76 as it passes through Scotland’s smallest County. 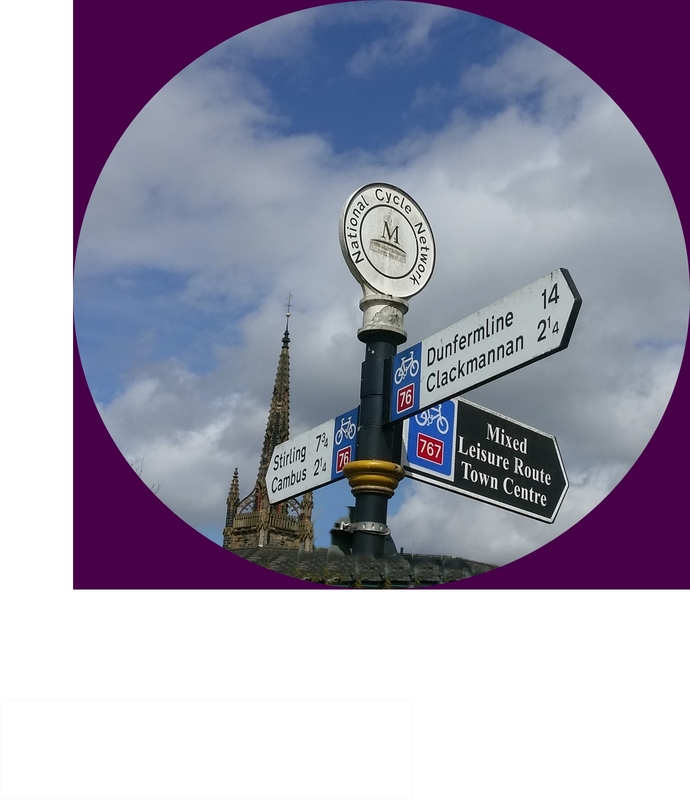 All were taken within a 25 minute cycle ride or less from Garvally House. 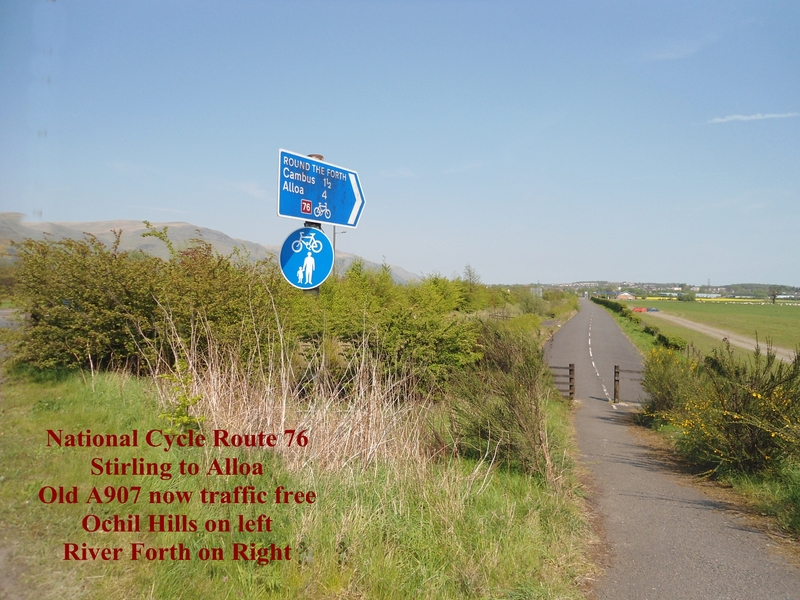 Note especially the junction with Route 767 some 450 metres from Garvally House. 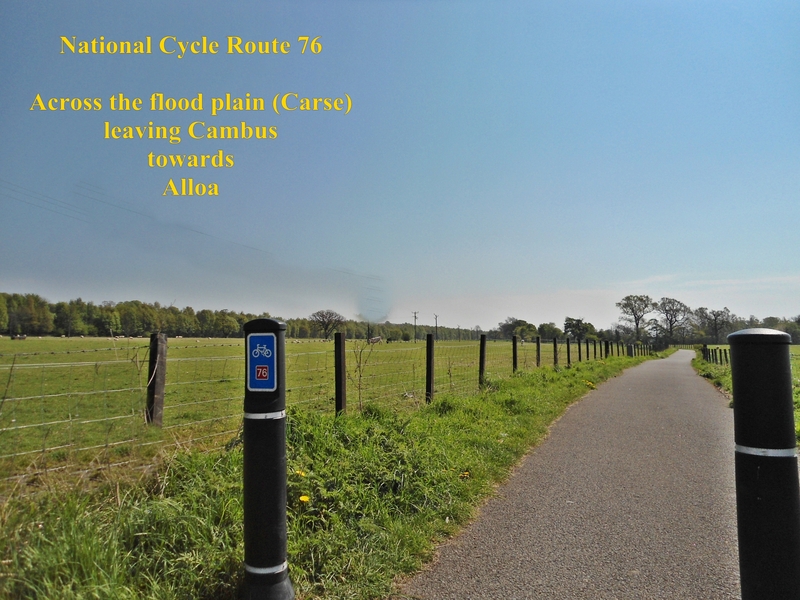 Route 767 is not to be missed for wonderful countryside and a gentle gradient. 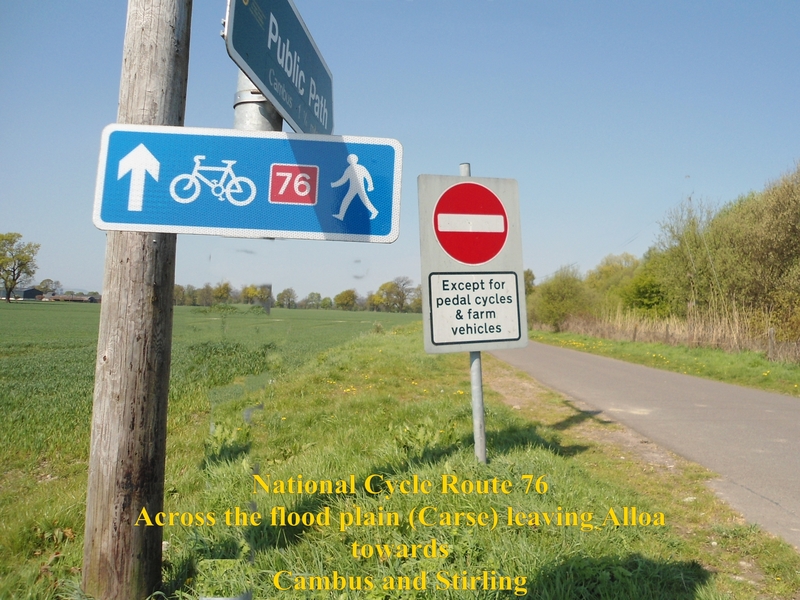 Sustrans link to Route 767 here.